Nasseri was born in 1942 in Iran, in the Anglo-Persian Oil Company settlement located in Masjed Soleiman. In 1973, he was accepted at the University of Bradford to study Yugoslav studies and lived in the United Kingdom for three years. After he finished the studies, he returned to Iran. During that time, there were protests against the Shah in Iran and Nasseri joined the revolt. As a result of this, he was expelled from his country and applied for an asylum in several countries. In the end, he received refugee status by the United Nations High Commissioner for Refugees in Belgium. Supposedly, the status of a refugee allowed him to reside in many other European countries. So, Nasseri decided to move in the UK in 1986 and later depart for London in 1988. During the journey, he lost his papers and his briefcase was stolen. Even though he claimed that his mother was a nurse from Scotland, he didn’t provide any evidence to support his claim. British immigration officials didn’t let him enter the country, so he was promptly returned to France. When he had showed up without any legal documents in France, he was arrested by the police. However, since he entered the country legally, didn’t posses any papers and had no country of origin to return to, the only place where he could stay was the departure lounge at Terminal 1. Until 1992 the French court had been adamant about the decision – Nasseri can’t be expelled from the airport because he got there legally but that wasn’t enough for him to be granted permission for entering the country. In the meantime, French human rights lawyer Christian Bourget found Nasseri’s suitcase and hand it back to him. There had been attempts for Nasseri to get new documents issued from Belgium, but it could have been done only if he personally went there. Also, the Belgian refugee law states that a refugee who leaves the country voluntarily, cannot return back. In 1995, Belgium officials turned the law upside down so that they would grant Nasseri permission. He could return to Belgium only if he accepted to live there under the supervision of a social worker. But Nasseri had other plans for his life. He still wanted to get in the UK and refused the offer from Belgium. And of course, remained living at the airport. The man didn’t waste his time. He spent his days just like any other person on the other side of the airport’s doors. 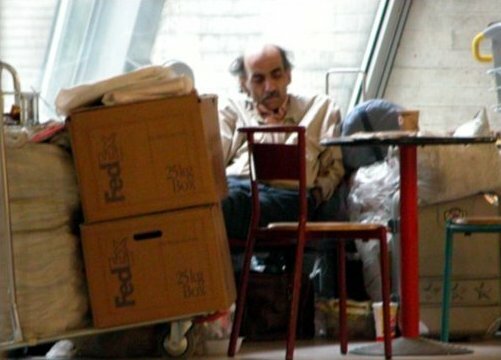 He sat with his luggage by his side, he read books, studied economics, wrote his diary, befriended employees at the airport who gave him food and newspapers…he almost had a “normal” life. Yes he was real, and was the inspiration for Spielberg’s 2004 movie 2004 – “The Terminal”. Apparently, Nasseri got paid US$250,000 for the rights by DreamWorks. He was excited about the movie and carried a poster, advertising it in Terminal. 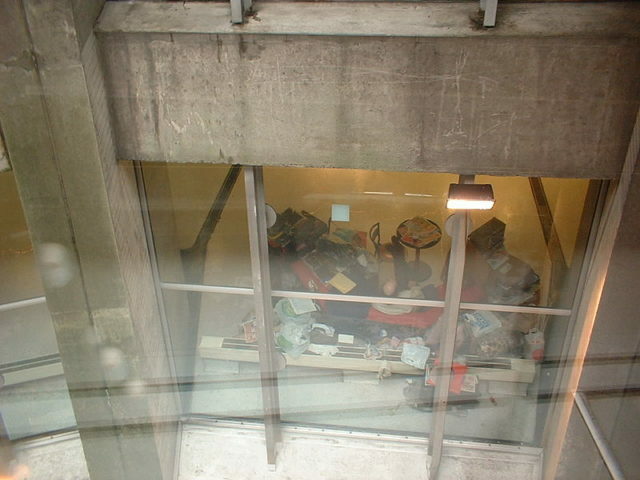 He remained there, in Terminal 1 until 2006 when he was hospitalized. When he left the hospital in 2007, he was looked after by the airport’ French Red Cross. After few months he was transferred in a charity center in Paris. 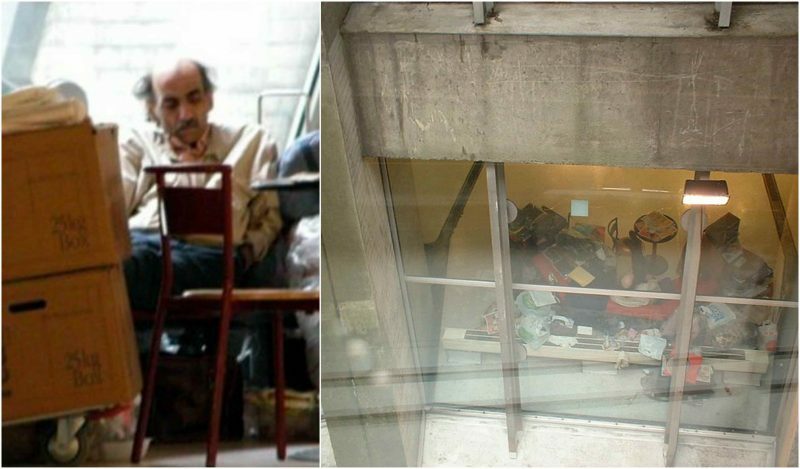 Since 2008, Nasseri has lived in a Paris shelter.